when I was writing yesterday's post I lost sight of one of the lessons from 'mouse medicine' and found myself getting so locked into details reporting our weekend activities, I lost sight of the 'big picture.' whoops! 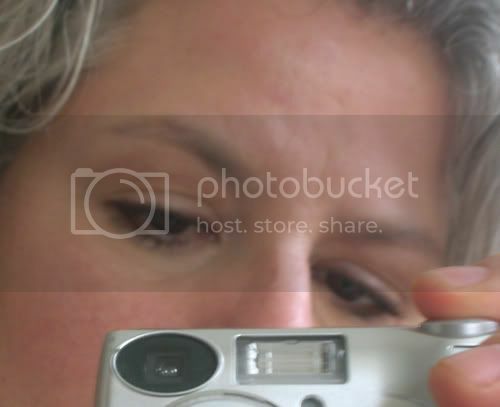 when I reread the post hours later, I found the it most tedious, I did something I never have done in close to two years of blogging and in over 550 posts - I zapped most of the post. there was one gem embedded in my long-winded whine - the photograph of the quilt that I was working on last week and over the weekend. this is before the the top was layered and quilted. hopefully, pictures of the completed quilt will be going up on the studio blog sometime soon. photo of toast in honor of megan, who's the most, 300th post! 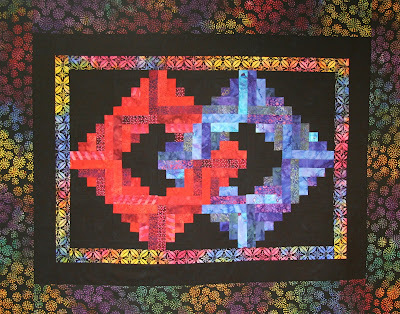 That quilt is beautiful; I love the interlocking rings. petite souris: The quote by Massieu is that much more interesting when you know he was also a professor and translator of Latin poets, and one of the priests who aligned themselves with the French Revolution. He was even elected to the National Assembly. Under the French Empire he was exiled to Belgium, where he died destitute. And that is truly a lovely quilt. It's a dance of shamanic alignment with the season - zapping, I mean. This is the time when everything reduces itself down to a bare minimum, the energy moves in and down. You've got your finger on the pulse of the season. I salute you! Yesterday's post was fine. Love the quilt! And I love the photos of those pups playing brings back a memory or two. Such total joy in living in the moment racing around playing with your new friend! 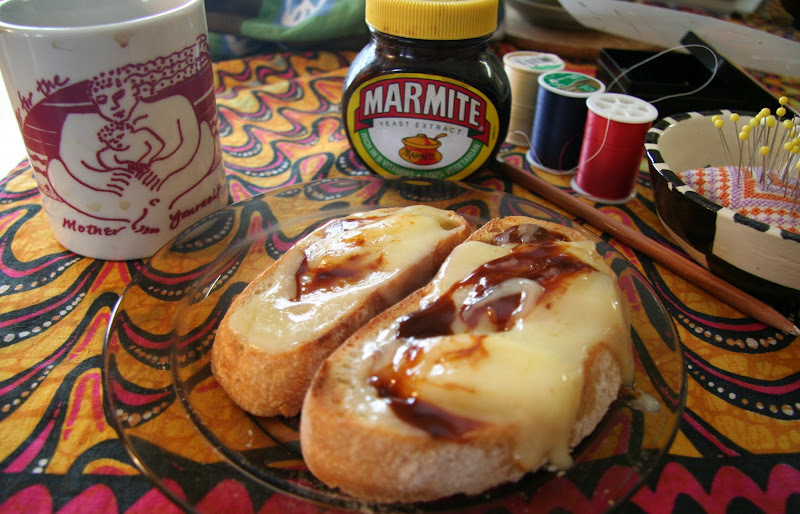 Delicious marmite... nice post. Your posts are always uplifting. I try to be uplifting too... it is nice to be upbeat and kind --thank you for being so. You show your warmth and how you don't fear embracing everyone. The quilt is absolutely magnificent! I want to take lessons from you. Totally unrelated, but glad you met up with ~Me~ and Basenji Stormie. Hope there might be a blogger meet up with those two in the future! Bow thinks Stormie is dreamy! something very yin yang about the quilt, it's beautiful. Nice work you do and colorful,as all quilts are I guess. thanks everyone, for the positive feedback on the quilt - hopefully the recipients of the quilt will like it too. rlb - thanks for the additional information on massieu. cheese always helps my mood and when topped by marmite! yum!! megan - have you tried marmite on toast yet - it's the best! squirrel - I toast to you!! and look forward sharing marmite toast with you ....hopefully someday soon. hint, hint!